Tommy was born in Atlanta, GA to Korean immigrants. By the age of 22 he had earned a bachelors degree in biology. 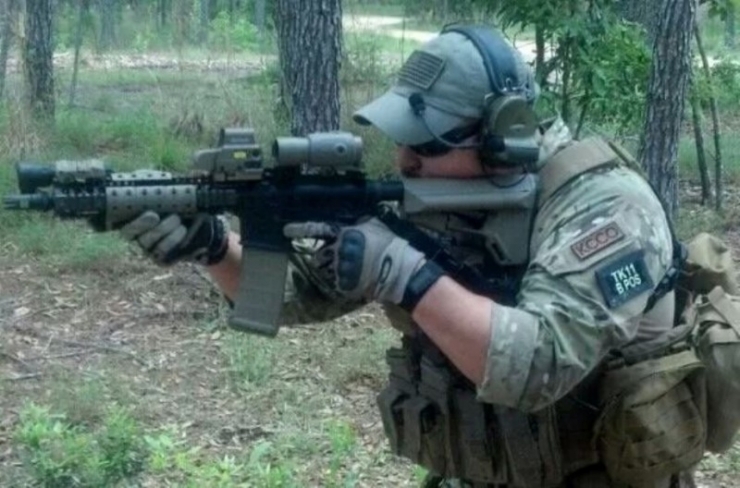 Instead of furthering his education or pursuing a cushy career, he chose to enlist in the U.S. Army after the 9/11 attacks. Tommy served 2 tours. Between the harsh terrain and a deadly enemy, he faced the relentless, untold horrors of war. In 2006, Tommy took a long fall during a mission and the next thing Tommy remembers is waking up at a hospital in Germany. Doctors told him he was paralyzed. He would never walk again. But Tommy marches to the beat of his own drum. After 6 weeks of no feeling, Tommy felt a burning sensation in his legs. His nerve endings were starting to react. He refused to accept his diagnosis. He was determined to re-learn how to walk. It wasn’t easy. He went from a bed, to a wheelchair, to a walker, to crutches, to a cane. Then, 11 months later, Tommy was walking. It wouldn’t be the last time Tommy defied the odds. Tommy had successfully flipped what was once a tragic prognosis into a positive, exciting new life. Until January 2014, when Tommy began having double vision. He went to the doctor, where an MRI revealed a 6 cm lesion in his left occipital lobe. A biopsy soon confirmed it was stage 4 glioblastoma, the most aggressive form of brain cancer. The doctors told Tommy he had just 2-3 years to live. 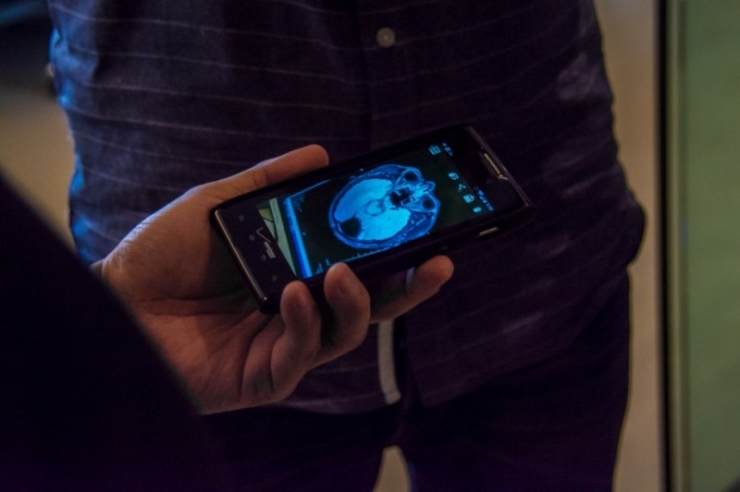 That is what they have seen with typical patients once they are diagnosed. But Tommy is anything but typical. 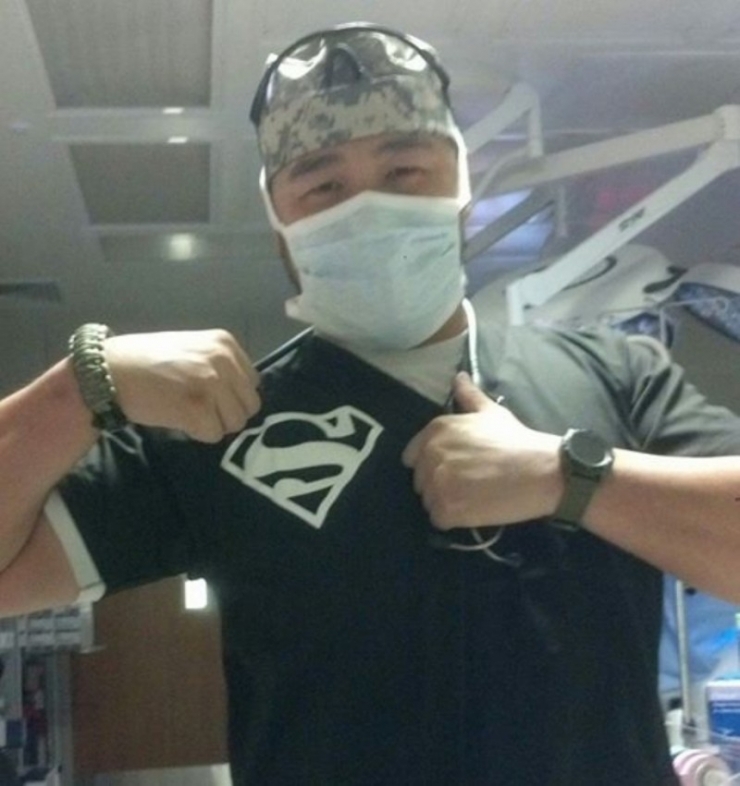 This Army veteran didn’t listen when he was told he’d never walk again. He now faces his greatest struggle yet, and he’s still not listening. Tommy is one of the most positive guys you’ll ever meet. He does things his own way and always with a grin on his face. He has that unquantifiable ability to walk into a room and immediately he is the life of the party. This is his Book, and he’s going to write it how he wants. 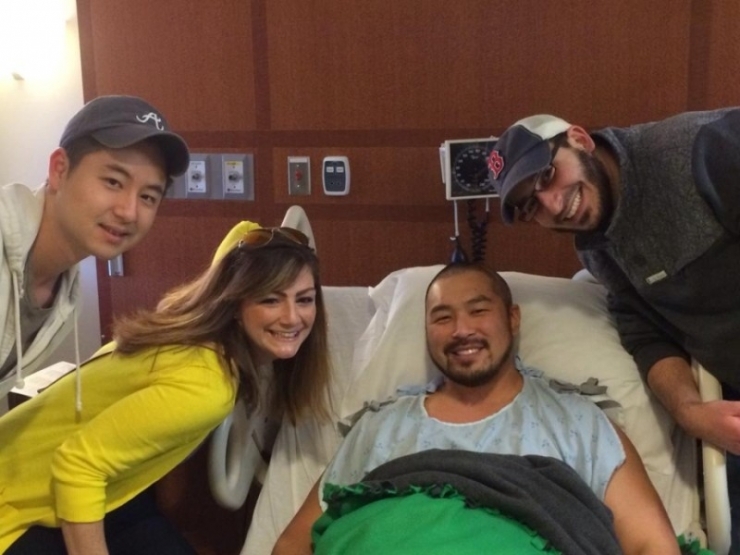 In February 2014, Tommy underwent brain surgery to have the tumor completely removed. The surgery was followed by intense radiation and chemotherapy. If you know anything about that kind of treatment, it basically makes you constantly nauseous. As your appetite vanishes, eating becomes a chore and a lot of what you eat comes back up. So, what was Tommy doing when his medication made him feel sicker than he’d ever been? He was hitting the gym, working on his mental and physical health. The guy is a machine. Tommy’s doctors have told him physical fitness is essential for his fight against cancer as well as his continued fight to strengthen his body from when he was paralyzed. 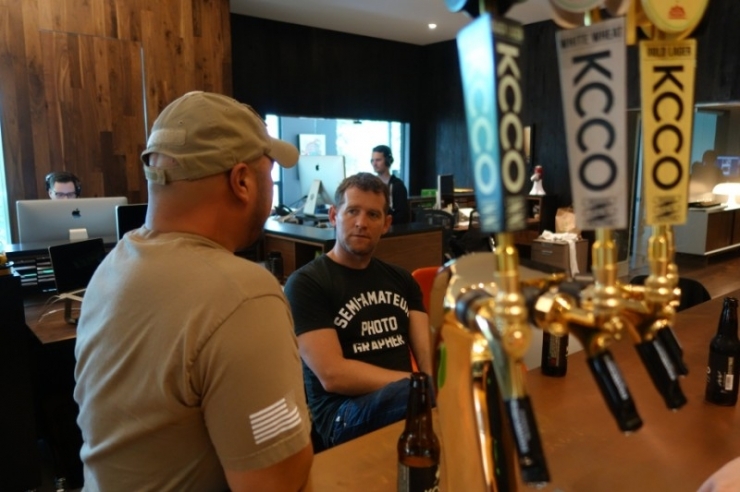 At Chive Charities, part of our mission statement is to help disabled veterans with quality of life enhancements. We are proud to announce that, thanks to your donations to the Chive Fund, we purchased home gym equipment for Tommy and well as a year of chemo (more on that below)! Tommy says this will make sticking to his health goals a lot easier, because driving back and forth to a gym tends to make him feel especially sick. 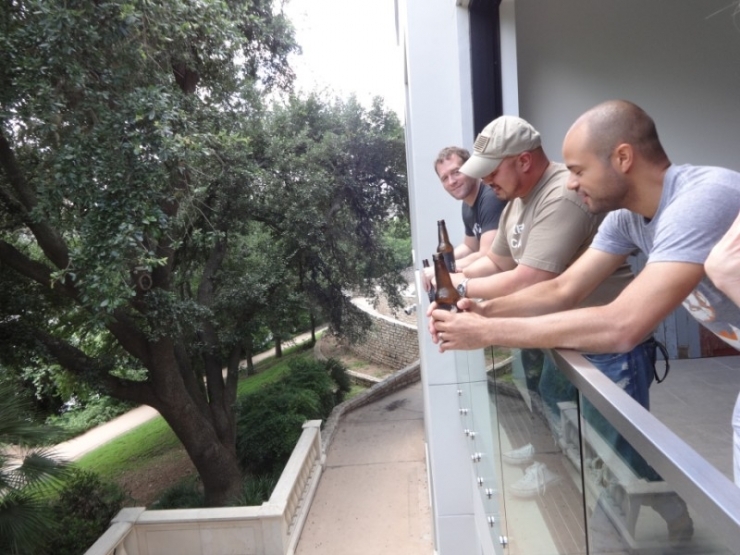 When Tommy moved to Austin, he didn’t know anybody. He’d only been there a few months when he was diagnosed with brain cancer. Fortunately, Tommy makes friends easily and the people at his new job have been very supportive, but Tommy admits he is still learning the city. A large chunk of his support is back home in Georgia. 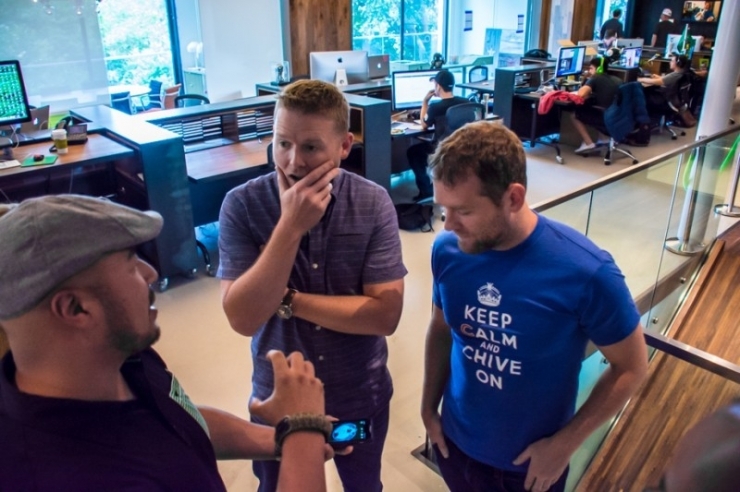 We really wanted to be a part of this awesome Chiver’s local support, so we invited him to see our brand new office. 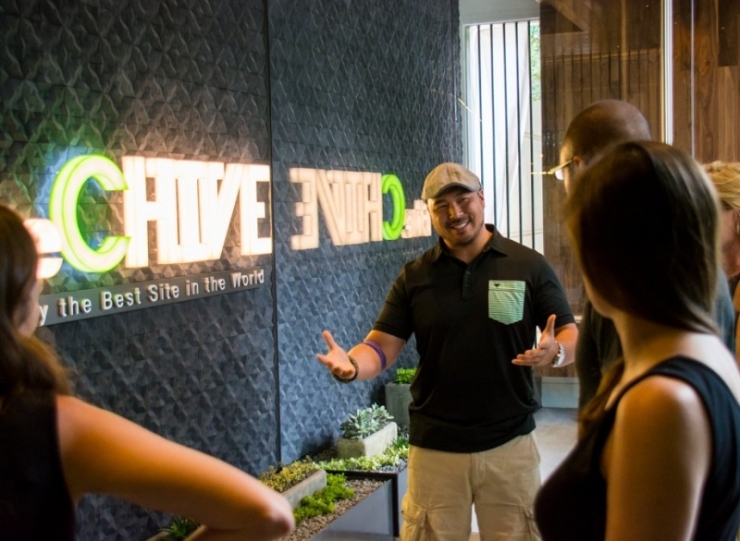 On June 2, we moved into our brand new Chive HQ. Tommy was the very first person to receive a tour of this misfit’s playground. 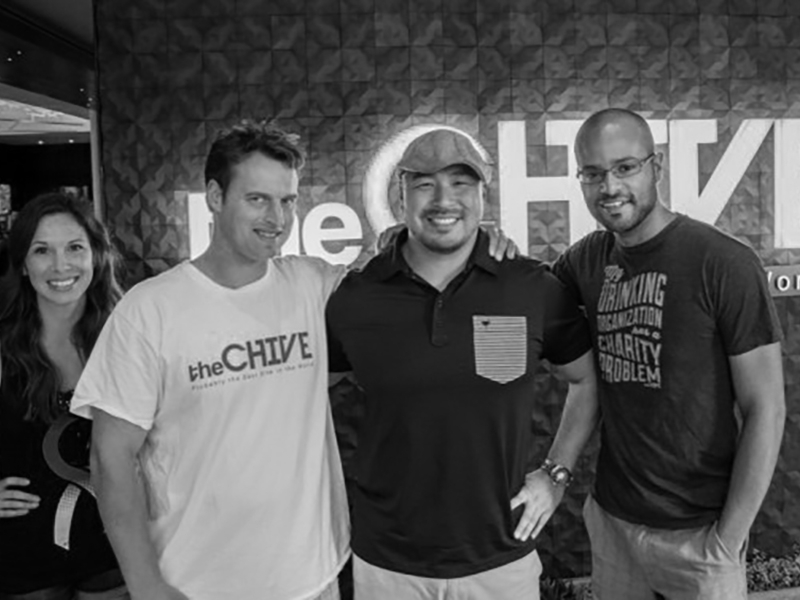 Here's Tommy with Angie and Brian from Chive Charities and Rick from theBRIGADE. See that giant black spot at the bottom? Yeah, that’s the part of his brain that doctors removed; 1/6 of his brain, to be exact. Doctors removed 1/6 of Tommy’s brain. Miraculously, the only side effect Tommy has had is loss of peripheral vision on his right side. The tour would not be complete with showing Tommy our commercial-grade walk-in refrigeration unit. 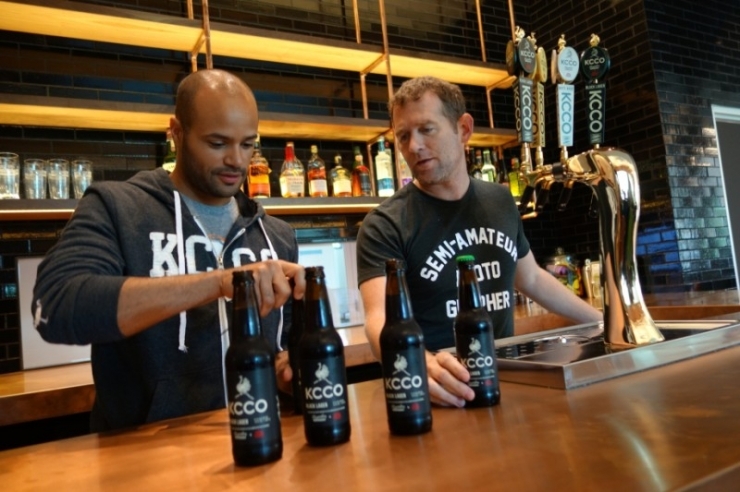 This is where the kegs of unreleased KCCO beers are housed. It’s the heart of our 9-tap glycol-chilled system with hoses that reach throughout the entire office. 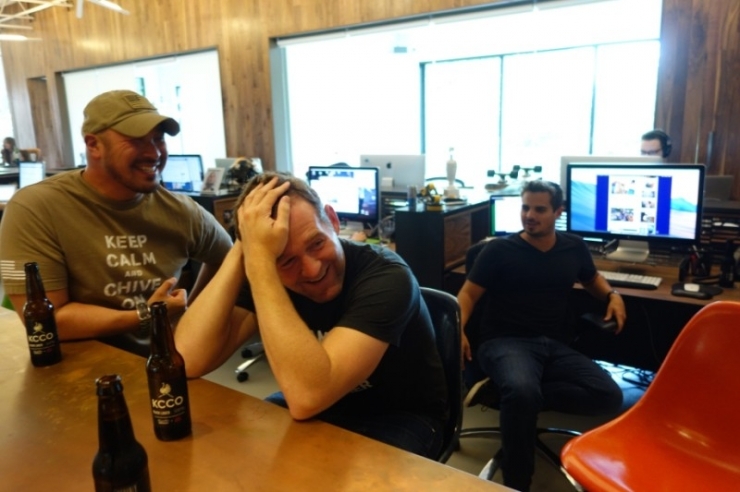 Wherever you stand at Chive HQ, you are never more than a few steps away from some KCCO on tap. John asked Tommy what chemo was like. It was so moving to share in this moment with him. 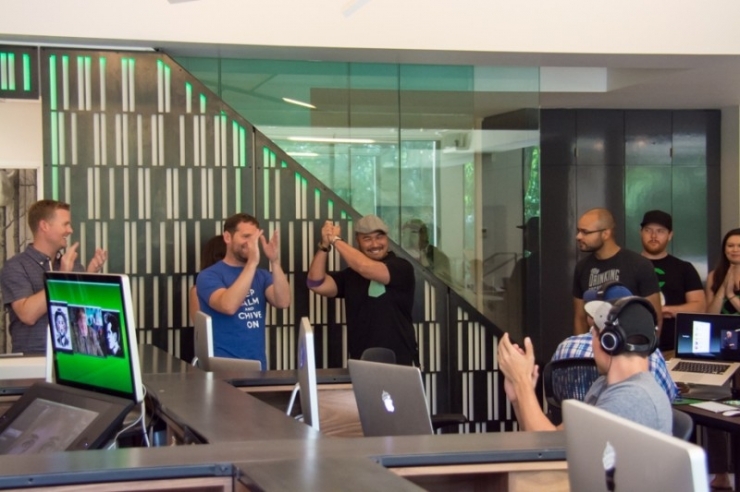 When he announced it, the whole office exploded with applause, hugs, and even a few tears. It can’t be easy to be told you have 2-3 years to live. It really puts your life in perspective and everyone reacts differently. Just like after 9/11, Tommy reacted by fighting. That is his nature. He refused to give up. He sought treatment and doubled down on his health. He even fought to keep his job. He wasn’t ready to go, and we’re so thankful for that. His efforts paid off, but his journey isn’t over. Glioblastoma is an aggressive cancer that continues to grow back... but Tommy has consistently proven he doesn’t follow the proverbial textbook. 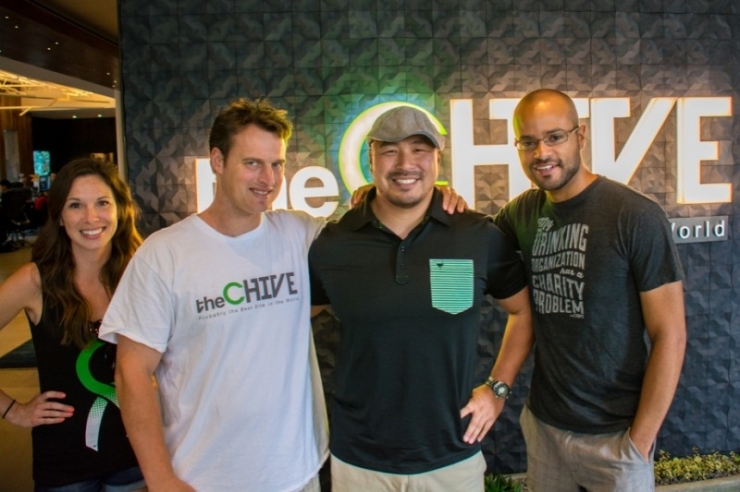 Chive Charities is committed to keeping Tommy cancer-free. 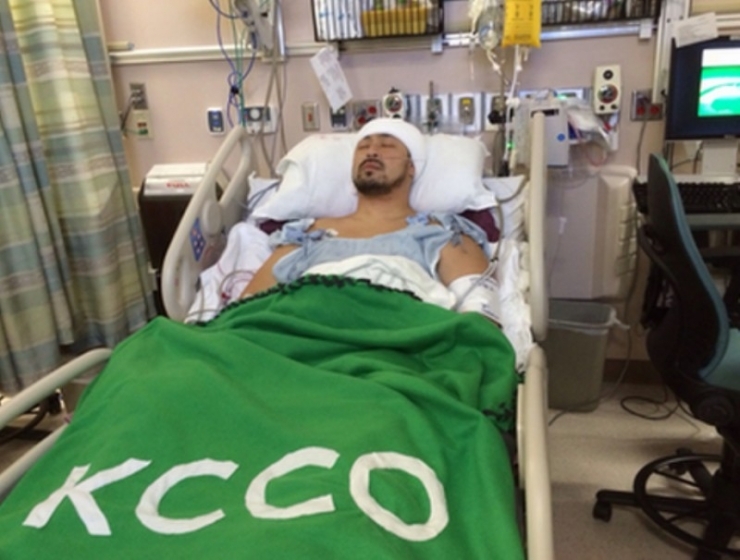 Part of the donation from the Chive Fund is going toward one year of oral chemotherapy. This form of treatment will allow Tommy to do his chemo at home, cutting down on doctor visits and allowing him to keep his job. Tommy is unstoppable. We just want to do our part to eliminate as many barriers out of his path as possible. It’s a funny thing. 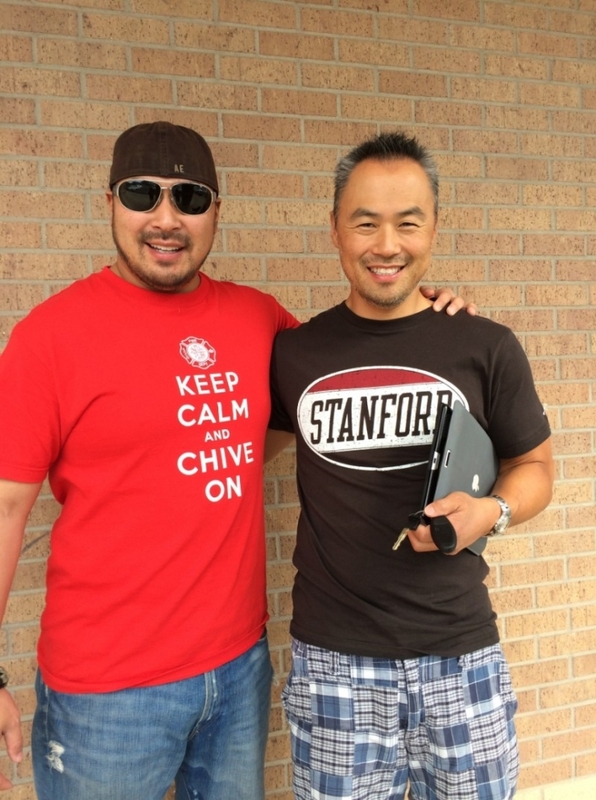 When the Chivers get involved, we’ve seen time and time again that people can conquer the improbable. Whether it’s Zoe taking her first steps or Tamara beating Hodgkin’s Lymphoma, miracles do happen. We are proud to have a hero like Tommy in this community of misfits. We have a feeling he’s going to be all right.